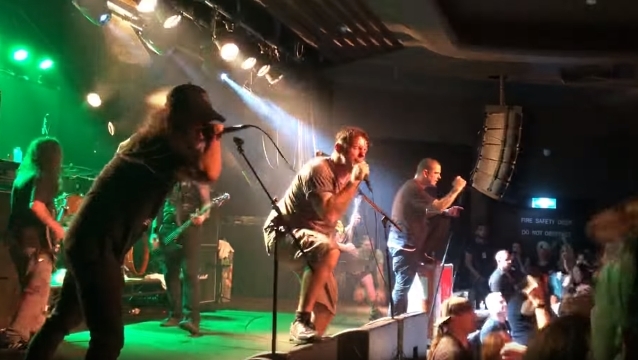 Fan-filmed video footage of PHILIP H. ANSELMO & THE ILLEGALS, the project led by the former PANTERA and current DOWN/SUPERJOINT frontman, performing the PANTERA classic "I'm Broken" on March 22 in Melbourne, Australia can be seen below. Joining THE ILLEGALS on backing vocals were Matt Young of KING PARROT and Toshihiko Takahashi of PALM. 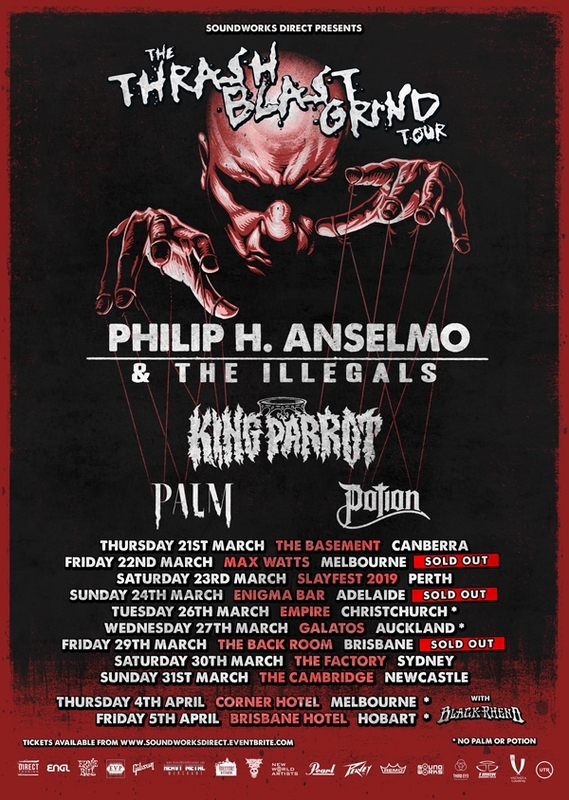 Anselmo spoke to Australia's Heavy magazine about his decision to play a number of PANTERA songs during the recent North American tour with PHILIP H. ANSELMO & THE ILLEGALS. "This past year has been pretty rough as far as the PANTERA camp goes," he said. "So, with Vinnie's [Paul, PANTERA drummer] passing, I figure, this past year, why not play some of the old songs that people wanna hear and have been asking to hear for a long time. So that's been a different spin on the set, man. And once again, I can't say enough about my guys around me… Mike DeLeon, my guitar player, is really a death metal player, and Blue [José Manuel Gonzalez], my drummer, he comes from death metal roots, and everybody expands, but to ask them to do this PANTERA stuff, it was big, man — it was really big. So, big props to them, man." Asked if performing classic PANTERA songs brings up good memories or bad memories for him, Anselmo said: "When I'm onstage, it's all good. And I will say there have been some bizarre moments. What freaks me out is the younger audience — the kids whose parents grew up as PANTERA fans in the house. It's amazing. Seeing the youngsters come in and go bananas, man — it's inspiring, man. Yeah, you know, strange feelings here and there, but overall, the payoff's been great." Up until his death in June 2018, Vinnie remained on non-speaking terms with Anselmo, whom the drummer indirectly blamed for the death of PANTERA guitarist "Dimebag" Darrell Abbott, who was his brother. Vinnie Paul and Dimebag co-founded PANTERA. When PANTERA broke up in 2003, they formed DAMAGEPLAN. On December 8, 2004, while performing with DAMAGEPLAN at the Alrosa Villa in Columbus, Ohio, Dimebag was shot and killed onstage by a troubled schizophrenic who believed that the members of PANTERA were stealing his thoughts.